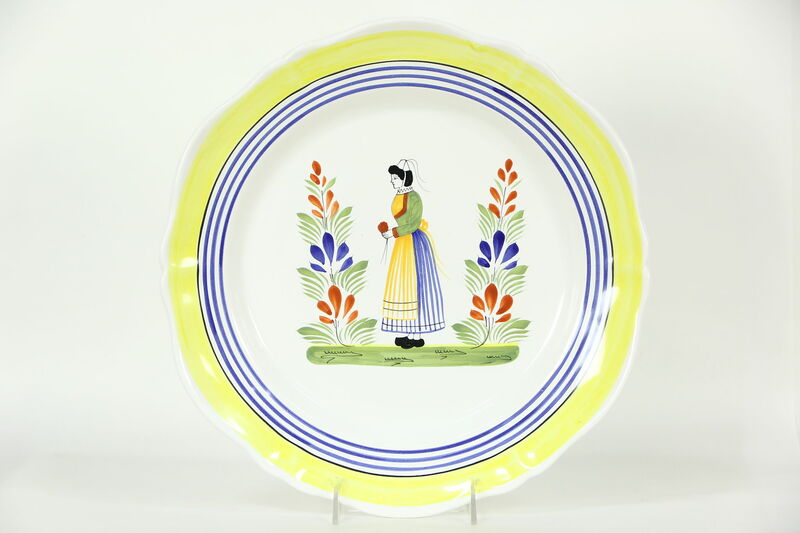 A round platter or charger is signed "Quimper," and is undamaged. A hand painted woman is in traditional Brittany costume. Diameter is 13 1/2."